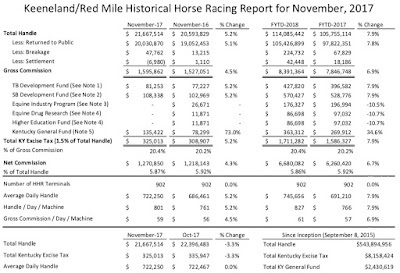 Instant Racing machines handled more than $21.6 million at The Red Mile last month. That is an increase of 5.2% over November 2016. 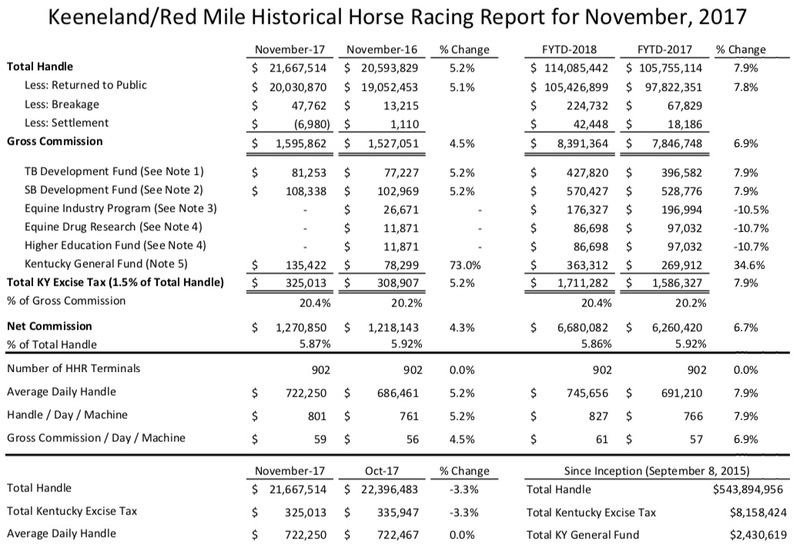 The fiscal year to date increase stands at 7.9%.